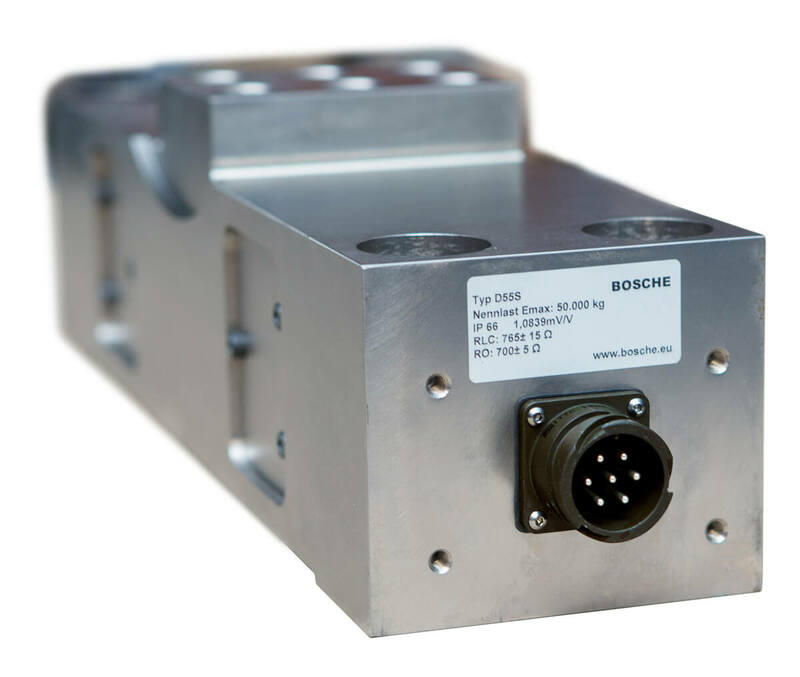 The low profile double shear beam load cell D55S is ideally suited for applications in harsh industrial environments. The main sector the weighbeam is uses is the steel industry. Due to the high repeatability and high long-term stability, the load cell supplies very good results, even after perennial use. The weighbeam is largely insensitive to side forces and don´t need further mounting parts. The load cell is particularly easy to maintain, because the connection cable is interchangeable connected via a plug connection. The double-shear force transducers can be connected in 6-wire technology, so that even with large feed lengths or occurring temperature differences by readjusting the supply voltage accurate measurement results can be achieved.Of course, a 4-wire connection is possible. For this purpose only the supply voltage is simply short-circuited with the corresponding sense line. Metal Industry, Ladle turret scales, Ladle feries, Scrap bucket scales, Tundish cars weighing scales, Roller table scale, Hopper and Silo weighing also in high temperature enviroments. Due to the special construction the weighbeam is largely insensitive to side forces and don´t need further mounting parts. Loads should act as closely as possible in the measuring direction. Torsional moments, off-center loading and transverse or side forces cause measuring errors and can damage the load cells permanent. Related links to "Wägebalken D55S"
Our comment on "Wägebalken D55S"